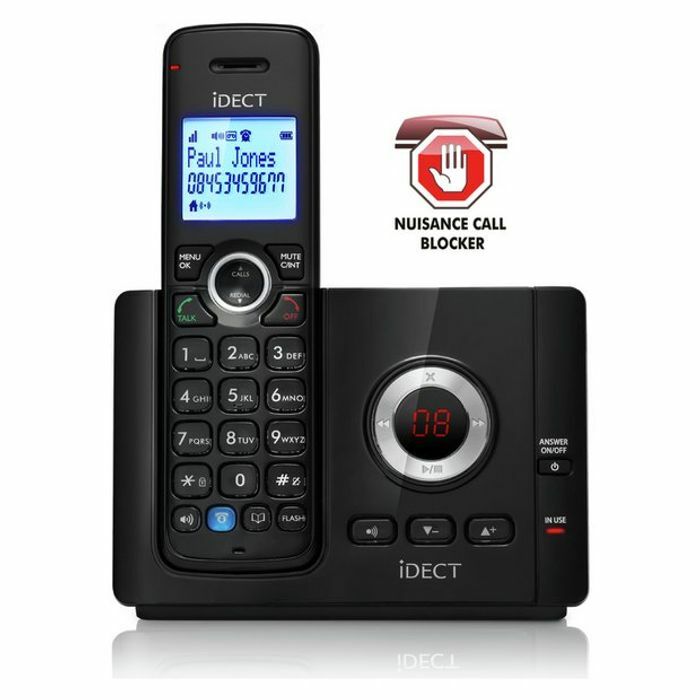 The iDECT Vantage 9325 Call Blocker is a sleek and elegant DECT home phone that offers a 15-minute digital answer machine. This phone comes with a 100 name and number phonebook memory, view up to 20 last number redials with the Caller Display storing information for the last 30 calls. Enjoy your conversations with the long 10-hour talk time and 100 hours on standby with the convenient handset speakerphone for you to take your conversations away from your sofa. There are also 10 ringer melodies and LCD backlit display. .
Sylish design that is ergonomic, lightweight and portable. Up to 10 hours talktime/ 100 hours standby. Answer machine recording time 15mins.